Becoming a pilot is a professional goal many young boys and girls dream of. Flying is the ultimate feeling of freedom, soaring over the clouds and gazing down on the tiny world below… John Ferguson and Dan Cummins are living the dream as pilots and here’s what they have to say about it. Incidentally, both interviews were improvised. When I was in Vancouver I was looking out over the harbour, brainstorming about which professions would fit my series of articles about dream jobs. My eye fell on the Harbour Air Seaplanes in front of me and then it hit me: “If there is one job on the planet that gets people excited, it’s pilot of a plane!” So I ran down to the terminal and asked if I could interview one of the pilots. That’s where John Ferguson came in. Dan Cummins was the pilot in charge of the seaplane I was in later on, for a tour of Vancouver Harbour. 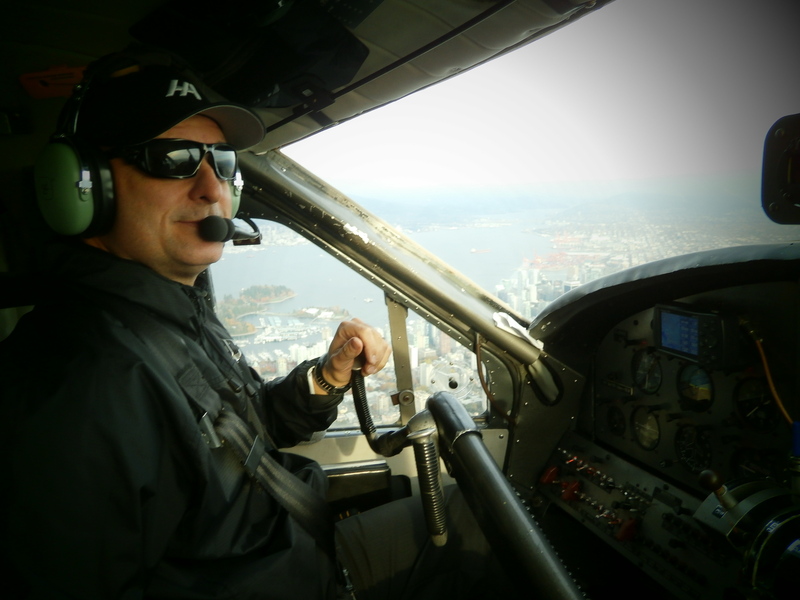 Although becoming a pilot is not something I’m dreaming of or aspiring to, but for the duration of this tour, I was happy to be co-pilot! From the seat next to Dan, I was in the position to ask him a few more questions. He gave my a set of headphones, that way I could listen to him talk to air traffic control, as well as have a conver-sation with him. Without the headphones, I wouldn’t have been able to understand anything, because the engine is really loud. During our 40 minute flight I asked him about the best part of being a pilot. “Going to new places is for sure the best part of my job,” he tells me. “I especially enjoy flying around during the sunset on a nice and sunny evening.” During our flight at 4.30 PM the weather was fantastic. The sun was beginning to set and it was a (in my opinion) perfect temperature of approximately 13 degrees Celsius. Halfway during the flight I asked him if it was possible to do either a 360 or a barrel roll with this particular plane. “Not with the floats on,” he grinned. Luckily he didn’t do any attempts to try it anyway, because that probably would’ve turned the stomachs of the passengers in the back of the plane. 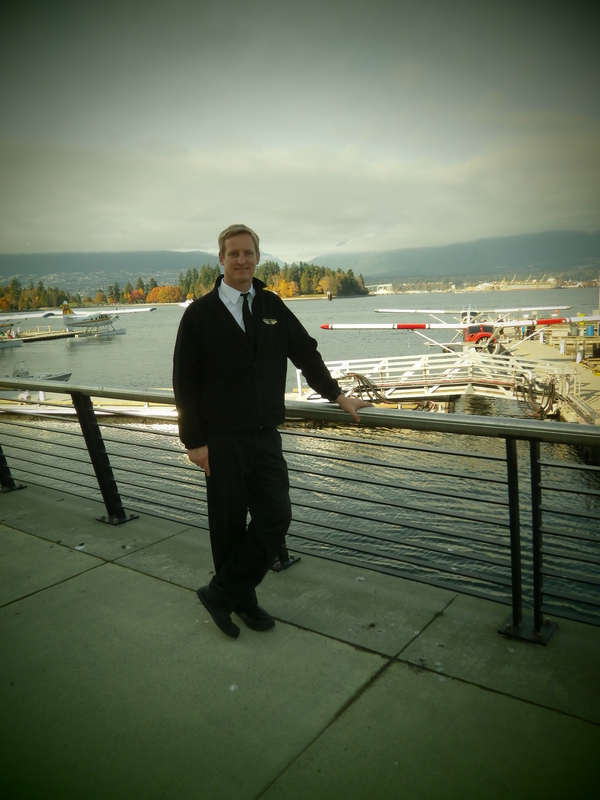 Categories: Dream Jobs, Interviews | Tags: Coal Harbour, Harbour Air, pilot, Vancouver | Permalink.